This incident clearly shows that some people just spend too much time gaming online. 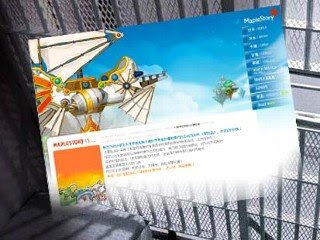 There have been recent court cases where people have actually been charged for stalking in "Second Life", but the latest case of the japanese piano teacher who has been arrested on suspicion of killing her "virtual husband" in "Maple Story" completely takes the cake. The 43 year old woman apparently became enraged that her virtual husband suddenly divorced her in the game. Her response was to (allegedly) hack into the man's computer and kill off his avatar. The woman is now in custody for suspicion of illegally accessing a computer and manipulating electronic data. She allegedly used the man's ID and password to log on to Maple Story and carry out the "virtual murder" in May this year. The woman is quoted as saying, "I was suddenly divorced, without a word of warning. That made me so angry". The woman's online (ex)husband, is a 33-year-old office worker. He made a formal complaint to the police when he discovered that his online avatar was dead. The woman was arrested on Wednesday, but has not yet been charged. If she is convicted, she could face up to five years in jail or a fine of up to $5000. Could this only happen in Japan?? They should just put her avatar into the virtual prison.